An effort to create a per se marijuana DUID law in California ran into a brick wall of science, the Ohio effort to put a medical marijuana initiative on the ballot shuts down, a US senator seeks an investigation into Purdue Pharma over its claims on OxyContin's extended effectiveness, and more. California Driving While High Bill Killed. A bill that sought to create a per se marijuana drugged driving level of 5 nanograms of THC per milliliter of blood has been killed in the Assembly Appropriations Committee. The committee killed it and a bill that would have let police use oral swabs to strengthen cases after cannabis industry officials said they were not supported by science. Illinois Medical Marijuana Program Gets Extension, Expansion. The House Friday voted to approve a plan to expand the state's medical marijuana program by adding PTSD and terminal illness to the program's list of qualifying conditions and by extending the program for an additional 2 ½ years. Gov. Bruce Rauner (R) has now come around and says he supports the bill, which still needs a final Senate vote. The measure is Senate Bill 10. Ohio Medical Marijuana Initiative Backers Call It Quits. Faced with a medical marijuana bill approved by the legislature and awaiting the governor's signature, Ohioans for Medical Marijuana announced Saturday that they were ending their campaign to put an initiative on the November ballot. The Marijuana Policy Project-backed effort decided to call it quits because "the reality is that raising funds for medical marijuana policy changes is incredibly difficult, especially given the improvements made to the proposed program by the Ohio General Assembly and the fact that the Governor is expected to sign the bill." The bill passed by the legislature will allow people with about 20 different diseases and conditions to use marijuana, but not to smoke it. US Senator Calls on Feds to Investigate Purdue Pharma Over OxyContin Time-Effectiveness Claims. A US senator has called for a federal investigation of Purdue Pharma, the manufacturer of OxyContin, in the wake of reports that the money-making pain reliever wears off early in many patients, leaving them exposed to pain and increased risk of addiction. Sen. Edward Markey (D-MA) Friday sent letters to the Justice Department, the Food and Drug Administration, and the Federal Trade Commission urging them to begin probes of the Connecticut-based drug maker. New York Overdose Tracking Bill Goes to Governor. The Senate and the Assembly have both approved a bill that requires the state Health Department to track non-fatal drug overdoses in a bid to get a more complete picture of opioid drug use in the state. The bill is now on the desk of Gov. Andrew Cuomo (D). A US senator has called for a federal investigation of Purdue Pharma, the manufacturer of OxyContin, in the wake of reports that the money-making pain reliever wears off early in many patients, leaving them exposed to pain and increased risk of addiction. Sen. Edward Markey (D-MA) Friday sent letters to the Justice Department, the Food and Drug Administration, and the Federal Trade Commission urging them to begin probes of the Connecticut-based drug maker. The move comes in the wake of a Los Angeles Times investigation into Purdue Pharma's claim that OxyContin relieves pain for 12 hours, which was one of the drug's main selling points. But the Times found that the effects often wear off before that, leaving patients cycling between relief and intense pain and suffering from opiate withdrawals before their next scheduled pill. The Times also found that Purdue knew about the problem since OxyContin first appeared in 1996, but continued to claim that it worked for the full 12 hours in part to protect its revenues. The newspaper reported that when faced with the problem, Purdue instructed doctors to prescribe stronger doses, not more frequent ones. 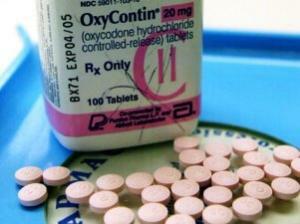 Stronger doses of opioid pain relievers are more likely to be implicated in overdose deaths. "These are serious allegations," Markey wrote in his letter to Attorney General Loretta Lynch. "They raise questions about ongoing deception by Purdue, harm to the public, continued costs to the United States, and the availability of further judicial recourse against Purdue. If upon investigation these allegations are substantiated, the Department should take legal action" against the drug company. Purdue has rejected the Times' findings, noting that the FDA had approved OxyContin as a 12-hour drug. "We promote our medicines only within the parameters approved by FDA and, given FDA has not approved OxyContin for eight-hour use, we do not recommend that dosing to prescribers," the statement said. That's not good enough for Markey, who represents a state hard-hit by problems with prescription opioids and heroin. More than 1,300 people died from opioid overdoses in the state last year, according to the state Department of Public Health. In his letter to the FDA and FTC, Markey called Purdue "the leading culprit in the current opioid and heroin overdose epidemic" and accused it of making "false and misleading claims about the longevity of OxyContin's pain-relieving properties." The FDA and FTC should "investigate these claims and take action to protect patients and consumers from the harm caused by Purdue Pharma's deceptive marketing materials." Justice, FDA, and FTC all say they are studying Markey's letter. Congress acts on opioid and drug trafficking bills, million want to grow pot if it's legal, a CBD cannabis oil bill moves in Louisiana, a medical marijuana bill is killed in Missouri, and more. Millions of Americans Would Grow Pot at Home If It Were Legal, Survey Finds. A new Harris Poll conducted for Green State Gardener has found that a whopping 44.5 million adult Americans would grow their own at home if it were legal. That's 18% of all adults, up from 10% only last year. "A year or two of research doesn't establish a trend yet, but the jump in these numbers is pretty significant," said industry analyst Bruce Butterfield. "The largest number of adults most likely to grow marijuana themselves is 18 to 34 year olds, followed by baby boomers aged 55-plus." The poll also found that 59% said marijuana should be legal, in line with other recent polls showing consistent, if narrow, majorities for legalization. Louisiana Houses Passes CBD Cannabis Oil Expansion Bill. The House approved Senate Bill 271 Wednesday, but because it amended it, the bill must now go back to the Senate for a final vote. Last year, legislators legalized CBD cannabis oil, but only for a handful of conditions. This bill expands those conditions to include seizure disorders. No one can currently use CBD cannabis oils because the legislature is still figuring out how to regulate them. Missouri House Rejects Medical Marijuana Bill. The House Wednesday killed the bill on a 71-85 vote. That leaves an open path for a medical marijuana initiative whose supporters have handed in signatures and are awaiting confirmation that the initiative has qualified for the November ballot. Ohio Poll Has Overwhelming Support for Medical Marijuana. A new Quinnipiac University poll has support for medical marijuana at very high 90%. The poll comes as a restrictive medical marijuana bill is working its way through the legislature and as a medical marijuana initiative is in the signature-gathering phase. The poll also asked about support for legalization, which came in at 52%. West Virginia to See First Legal Hemp Crop Since World War II. Scientists with West Virginia University are set to plant hemp next week in Morgantown as part of a research study on phytoremediation (reinvigorating depleted or polluted soils). The second phase of the study will explore hemp's industrial applications. House Passes 10-Bill Package Aimed at Opioid Addiction. The House Wednesday approved 10 bills that are part of an 18-bill legislative package designed to fight opioid addiction. One bill would concentrate on best prescribing practices for opioids, another would provide funding for care for babies of mothers addicted to opioids. The rest of the package is due for consideration today or tomorrow. Congress Passes Transnational Drug Trafficking Act. The act, Senate Bill 32, now heads to the White House for President Obama's signature. The bill would criminalize foreign drug manufacturers if they intend, know, or have probable cause to believe the substance will be illegally imported into the US. It would also increase penalties for trafficking in counterfeit drugs. Irish Government Makes it Official: Safe Injection Sites Are Coming. The government released its Program for Government Tuesday, and the document commits the Fine Gael-led administration to supporting "a health-led rather than a criminal justice approach to drug use, including legislation for injection rooms." Californians will have a chance to vote on marijuana legalization this year, Oakland moves ahead with medical marijuana expansion, Connecticut passes a sweeping bill aimed at the opioid crisis, and more. 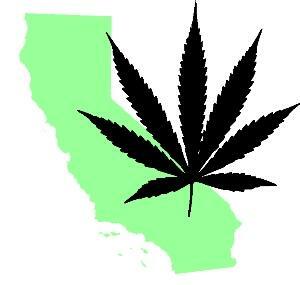 California AUMA Legalization Initiative Hands in Signatures. Supporters of the Sean Parker-backed Adult Use of Marijuana Act (AUMA) legalization initiative handed in some 600,000 signatures Tuesday. They only need 365,000 valid voter signatures to qualify for the November ballot. It looks very much like California will vote on legalizing marijuana this fall. Under the AUMA, adults 21 and over could possess and transport up to an ounce and grow up to six plants. The AUMA would also create a system of licensed and regulated marijuana cultivation and commerce. After Killing Legalization, Vermont House Approves Move to Develop System to Regulate Legal Marijuana. Legalization is dead for this year, but the House Tuesday voted to approve a measure that would begin the development of system to regulate legal adult marijuana use. The House approved House Bill 858 after amending it to include language establishing a commission to "propose a comprehensive regulatory and revenue structure that establishes controlled access to marijuana in a manner that, when compared to the current illegal marijuana market, increases public safety and reduces harm to public health." The commission would be required to provide its recommendations to the legislature by the end of the year. Oakland Approves Medical Marijuana Expansion. The city has given its okay for a plan to license up to eight more dispensaries a year, as well as creating the city's first-ever licenses for farms, kitchens, and labs. The move came on a pair of unanimous city council votes after 16 months of laying the political groundwork. The council must come back later and approve the changes one more time before they're final. Colorado Legislature Approves Bill to Help Young Medical Marijuana Patients. The legislature has approved House Bill 1373, which orders school districts to come up with policies to accommodate students who are medical marijuana patients. The measure does not allow smokable marijuana at school, nor does it require school employees to administer marijuana-based medicines. That will be left to parents or primary caregivers. Gov. John Hickenlooper (D) is expected to sign the bill into law. Ohio Medical Marijuana Bill Won't Allow Smoking. Vaping is okay, but toking is not under House Bill 523, the bill being considered by the legislature. The bill would also bar home cultivation. Proposed ballot initiatives, however, would allow both smoking and home cultivation, so the legislature's effort to undercut initiatives by passing its own bill may still not be enough to blunt the popular measures. Connecticut Legislature Approves Sweeping Opioids Bill. The state Senate Tuesday passed comprehensive opioid legislation that would put a one-week cap on first-time opioid prescriptions to treat acute pain. The bill would also require localities to ensure that first responders have access to the overdose reversal drug naloxone, limit liability for health care providers who administer naloxone, and strengthen the state's prescription monitoring system. Gov. Dannel Malloy (D) is expected to sign it shortly. Marijuana legalization activists rallied in Ann Arbor and DC over the weekend, pot-related hearings take place in Connecticut, Rhode Island, and the US Senate tomorrow, the California Assembly will take up supervised injection sites tomorrow, British pot arrests are down dramatically, and more. Senate Legalization Foes to Hold Hearing Tomorrow. US Sens. Charles Grassley (R-IA) and Dianne Feinstein (D-CA) will hold a hearing in the Caucus on International Narcotics Control titled "Is the Justice Department Adequately Protecting the Public from the Impact of State Recreational Marijuana Legalization." The only witnesses are foes of marijuana legalization, making it a "sham hearing" in the eyes of the Drug Policy Alliance. "These hearings are a one-sided sham with the deck stacked with witnesses who have a track record of vehemently opposing marijuana legalization," said DPA deputy director of national affairs,Michael Collins. "An honest evaluation of marijuana legalization would include the undeniable benefits of legalization like the massive drop in marijuana arrests, the billions in taxes, and the transition from an underground market to a regulated one. A more even-handed hearing would also address the destructive harms of marijuana prohibition." On Eve of Hearing, Connecticut Governor Reiterates Opposition to Legalization. With a legislative informational hearing on legalizing marijuana set for Tuesday, Gov. Dannel Malloy (D) made clear Monday that he remains opposed to the move. "I'm not a believer in it," he said. "I've done all the things I thought were necessary," referring to supporting the state's medical marijuana program and signing a decriminalization bill. "I think when you legalize marijuana, you're encouraging marijuana, and that's not the place I want to go." DC Pot Activists Fire Up in Front of White House. Led by the DC Cannabis Campaign, hundreds of legalization supporters gathered in front of the White House Saturday afternoon to urge President Obama to reschedule marijuana. The event was held on 4/2 instead of 4/20 because "Obama has been a big zero" when it comes to leading the country out of pot prohibition, the activists said. At 4:20pm, people lit up in a civil disobedience action, but no arrests were forthcoming, although some citations were issued. Thousands Attend Annual Hash Bash in Ann Arbor. Pot lovers and legalizers gathered by the thousands on the University of Michigan's central campus Diag in the Midwest's largest annual celebration of cannabis culture. This was the 45th annual Hash Bash, and stoner icon Tommy Chong addressed the crowd, along with lesser luminaries. Activists were also out collecting signatures for a proposed statewide marijuana legalization initiative. Three people were arrested for marijuana possession. Rhode Island Hearing on Marijuana Regulation and Policy Tuesday. State Attorney General Peter Kilmartin will host a forum on marijuana policy Tuesday at Brown University. Speakers include representatives from the city of Denver, the Washington state attorney general's office, and the Washington Institute on Public Policy, as well as Massachusetts state Sen. Jason Lewis (D), who chairs that state's Special Senate Committee on Marijuana. California Assembly Hearing on Supervised Injection Sites Set for Tomorrow. The Assembly Public Safety Committee will hold a hearing on Assembly Bill 2495, which would allow localities to establish supervised drug consumption services and let drug users consume controlled substances there under public health supervision. The bill is sponsored by Assemblymember Susan Talamantes Eggman (D-Stockton). British Marijuana Arrests Down By Nearly Half Since 2010. Arrests are down 46%, warnings fell by 48%, and charges filed declined by 33% between 2010 and 2015, according to official data from police forces. Some forces admitted no longer targeting pot smokers, saying their officers had been "freed up" for "more important work." Indian Opium Addicts Block Highway to Protest New Ban on Poppy Husk. Hundreds of people addicted to "doda post," as dried opium husk is known in the area, blocked a highway in Rajasthan to protest a ban on the trade that went into effect April 1. Police managed to clear the road, but demonstrations against the ban continued. One local doda user attempted to commit suicide, and his father, Himatram, said he and his son had been using doda for years. "This government banned doda while supplying liquor publicly," he said. "It is not justified." Doda users said authorities had begun "de-addiction" drives, but were supplying them with medications that were useless. The drug czar uses a recycled and updated version of the gateway theory to oppose marijuana legalization, the Justice Department restarts its Equitable Sharing asset forfeiture program, the president announces a new package of initiatives to fight heroin and opioid death and addiction, and more. Drug Czar Leans On Gateway Theory Variant to Explain Opposition to Legalization. In a hearing before the House Committee on Oversight and Government Reform last week, Office of National Drug Control Policy head Michael Botticelli reaffirmed the Obama administration's opposition to marijuana legalization, using a familiar, if discredited, argument to do so: "I think the evidence is pretty clear that early use of alcohol, tobacco and marijuana -- often used together -- significantly increases the probability that someone will develop a more significant addictive disorder later in their life," he said. "Early substance use actually effects brain development and predisposes people for more significant vulnerabilities later in their life." That sounds a whole lot like an updated version of the roundly criticized gateway theory. Hawaii Resolution Seeks Study on Marijuana and Driving. Rep. Cindy Evans (D-North Kona) and 15 other lawmakers have introduced a resolution asking the state health department to study the effect of marijuana on driving. State law bans people from driving under the influence of impairing drugs, but there is no threshold set for marijuana because there is no widespread consensus on what an acceptable level might be. Obama Announces New Moves to Fight Heroin and Opioid Abuse. In a speech in Atlanta today, President Obama unveiled a package of new initiatives to help stem the tide of death and addiction from prescription and non-prescription opioids. These initiatives are above and beyond the $1.1 billion in new spending he proposed last month. The package includes expanded access to medication-assisted treatment (methadone, buprenorphine) for addicted users, doubling the cap on the number of patients to whom a doctor may prescribe buprenorphine, increasing the number of doctors who can prescribe it, funding an increase in access to the overdose reversal drug naloxone (Narcan), ensuring that substance abuse and mental health benefits are offered for Medicaid and the Children's Health Insurance Program, and $7 million for the Justice Department to conduct law enforcement operations aimed at heroin distribution. Justice Department Resumes Equitable Sharing Program -- More Money for Cops. The Justice Department has announced it is resuming its program that allows state and local law enforcement agencies to do an end run around state asset forfeiture laws by handing investigations over to the feds. State laws may mandate that seized funds go in the general fund or other specified funds, but under the federal program, 80% of the seized funds go to the seizing law enforcement agency, not the state's general or other specified funds. Law enforcement lobbying groups had been loudly protesting the program's shutdown last fall, claiming they needed the windfalls to do their jobs. Now, the program is back on line. Overdose Reversal Drug Naloxone Has Saved 2,500 Lives in North Carolina. In less than three years, some 2,500 North Carolinians have had their heroin or prescription opioid overdoses reversed by people using naloxone (Narcan), the North Carolina Harm Reduction Center reported today. As of today, the number stands at 2,503. "Through distributing naloxone with NCHRC, I have been able to save the lives of many of my friends, loved ones and peers," says Kendra, a volunteer distributor in Wilmington. "Without this amazing group of people and this life-saving drug, many people who are very close to me may not have had a second chance at life. In the last few months alone I have had close to 100 reversals reported to me personally and many of those people are now in recovery because they were ready to make a change in their lives after overdosing." Mexican Popular Support for Marijuana Legalization Rising, But Still Low. This year's officially-supported debate on marijuana legalization appears to be having an impact. Mexico has never been a legalization-friendly country, and in October, daily polls had support for legalization at only 7%, with 92% opposed. But six months later, after the issue has been publicly debated, pro-legalization sentiment has increased four-fold, to 29%, with opposition dropping to 66%. The trend is in the right direction, but there's still a long way to go. An asset forfeiture reform bill moves in New Hampshire, Arkansas and West Virginia advance welfare drug testing, a global commission on public health calls for drug decriminalization, and more. Louisiana House Committee Approves Bill to Set Up Medical Marijuana Shops. The House Health and Welfare Committee Wednesday approved House Bill 446, sponsored by Rep. H. Bernard LeBas (D-Ville Platte). The bill would create a licensing scheme for the distribution of medical marijuana products. The bill now heads for a House floor vote. It must still be approved by the Senate. More Michigan Protests Over Dispensary Raids. Dozens of patients, advocates, and supporters took to the steps of the state capitol in Lansing Tuesday to protest a new wave of raids by the Michigan State Police and local narcotics teams. Both state Sen. Coleman Young (D-Detroit) and Rep. Jeff Irwin (D-Ann Arbor) addressed the crowd. Kentucky Senate Restores Funding for Heroin Fight. The Senate Wednesday agreed to restore $12 million in funding for anti-heroin efforts that had been proposed by Gov. Matt Bevin (R), but cut by the House last week. House Democrats had slashed the $32 million over two years proposed by the governor to $20 million. Now, the House and Senate will have to thrash out the difference in conference committee. New Hampshire House Approves Bill to End Civil Asset Forfeiture. The House Wednesday approved House Bill 636, which would require a criminal conviction before assets could be seized and which would move seized goods from the drug forfeiture fund to the state's general fund. Gov. Maggie Hassan (D) is threatening to veto the bill, saying that because of the state's opioid crisis, this isn't the time to eliminate law enforcement resources. Hawaii Lawmakers Take Up Resolution Urging Study on Drug Decriminalization. The House Judiciary Committee today is hearing a resolution, HCR 127, that calls on the state's Legislative Research Bureau to "conduct a study on the feasibility and advisability of decriminalizing the illegal possession of drugs for personal use in Hawaii" so that it "would constitute an administrative or civil violation rather than a criminal offense." If the resolution passes both chambers, the study would be due before year's end to be ready for next year's legislative session. The study would examine Portugal's experience with decriminalization as a possible model for the state. Arkansas Welfare Drug Testing to Begin Within Days. The head of the Department of Workforce Services, Daryl Bassett, said Wednesday that the state's welfare drug testing program would get underway within "seven to 10 days." Under the program, all applicants for government aid would be screened for possible drug use and those deemed likely to have been using drugs would have to undergo drug testing. Refusal to take the drug test will result in being denied benefits for six months. Someone who tests positive can continue to receive aid if he follows treatment and recovery plans set by state officials. West Virginia Governor Signs Welfare Drug Test Bill. Gov. Early Ray Tomblin (D) today signed into law a bill that mandates screening of all welfare applicants for drug use and drug testing those for whom case workers have "reasonable suspicion" of drug use. 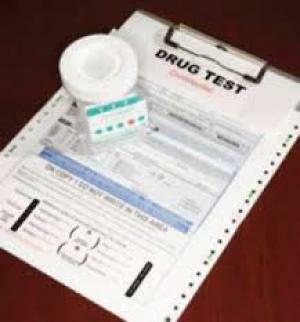 Applicants who fail drug tests can continue to receive benefits as long as they enroll in drug treatment and job training programs, but a second failed test could mean loss of benefits for up to a year, and a third would earn a lifetime ban. King County Sheriff Says He Would Not Arrest Drug Users Going to Seattle Safe Injection Site. King County Sheriff John Urquhart edged ever closer Tuesday to outright support of a safe injection site in Seattle. "I guarantee you," said Urquhart, "that if you're going into a safe injection site, you will not be arrested by any of my deputies, period." But he was careful to add that while he was "intrigued" by the success of Vancouver's InSite supervised injection facility, he is not yet ready to endorse them for Seattle. Tennessee Law That Allows Assault Charges for Pregnant Drug Users Not Renewed. The state's two-year experiment with arresting pregnant drug users is about to come to an end after the legislature failed to re-authorize the law this week. At least a hundred women have been prosecuted under the program, which has been condemned by human rights, civil rights, and pregnant women's rights advocates. Leading Global Health Commission Calls for Reform of Drug Policies Worldwide. A leading global public health commission is calling for new policies that would transform our approach to drug use, addiction and control worldwide, including the decriminalization of minor and non-violent drug offenses. 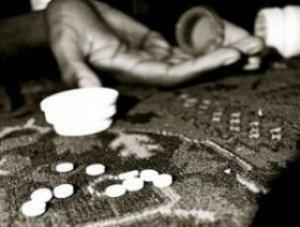 According to a report released this morning by the Johns Hopkins Bloomberg School of Public Health and The Lancet, the war on drugs and zero-tolerance policies have undercut public health across the globe and have directly contributed to many of today's most urgent public health crises, while doing little to affect drug markets or drug use. The Johns Hopkins University -- Lancet Commission on Public Health and International Drug Policy calls for worldwide reform of drug policies, including: the decriminalization of minor and non-violent drug use, possession and petty sale; enactment of policies that reduce violence and discrimination in drug policing; increased access to controlled medicines that could reduce the risk of overdose deaths; and greater investments in health and social services for drug users. The report is based on an extensive review by the Commissioners of the published evidence, and on original analyses and modeling on violence, incarceration and infectious diseases associated with drug policies. The Vermont marijuana legalization bill gets a first House hearing, it's do or die tomorrow for Georgia CBD legislation, the FDA orders "black box" warnings for quick-acting prescription opioids, Florida's governor has signed a syringe exchange bill into law,and more. Arizona Legalization Campaign Has Raised Ten Times More Funds Than the Opposition. According to a new report from the Arizona Center for Investigative Reporting, the Campaign to Regulate Marijuana Like Alcohol has raised $1.1 million for its legalization effort, while the leading group opposing legalization, Arizonans for Responsible Drug Policy, has raised only $90,000. The legalization campaign needs 150,642 valid voter signatures to qualify for the November ballot. It already has 180,000 raw signatures and says it aims to collect 225,000 to have a nice cushion. Vermont Legalization Bill Gets House Panel Hearing. The House Judiciary Committee Tuesday heard testimony on the legalization bill, Senate Bill 241, from representatives of state police, prosecutors, and sheriffs. The witnesses said legalization would not end the black market, worried about out-of-state pot tourists driving under the influence, and called for a marijuana DUID law. More hearings are coming. 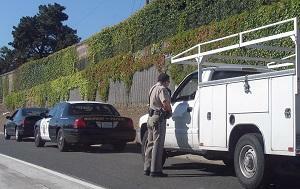 Dallas City Council Rejects Ticketing Instead of Arresting Pot Possessors. The city council has backed away from a plan to ticket small-time pot possessors after realizing that state law prevents the city from imposing the policy outside of Dallas County. Tiny portion of the city of Dallas extend into neighboring Collin, Denton, Kaufman, and Rockwell counties. The idea had been supported by the police chief and several council members. Last Chance for Georgia CBD Expansion Tomorrow. The legislative session ends at midnight tomorrow, and lawmakers will have a chance to take up a bill that would expand qualifying conditions for the state's CBD medical marijuana registry. The measure, House Bill 722, was defeated earlier in the session, but lead sponsor Rep. Allen Peake (R-Macon) has added it as an amendment to another bill to try to get it through tomorrow. Iowa Patients, Supporters Rally in Des Moines. Hundreds of people gathered on the steps of the state capitol Tuesday to urge lawmakers to approve a comprehensive medical marijuana program. "This is not a partisan issue. This is something for the health and safety of our citizens," said Windsor Heights Mayor Diana Willits. "It truly is heartbreaking that legislators are not paying attention to their citizens and their constituents. It's time for everybody to put their political obstacles aside and do what's right in a nonpartisan way." The state passed a 2014 law allowing patients with epilepsy to use CBC cannabis oil, but that law did not provide for manufacturing or distributing the medicine in the state. A bill this year, House File 2384, would establish two grow facilities in the state and allow use of CBDs by patients who suffer from epilepsy, multiple sclerosis or terminal cancer. It is still being debated at the committee level. A recent poll had support for medical marijuana at 78%. Ohio Medical Marijuana Bill Coming. Sen. Kenny Yuko (D-Richmond Heights) said Tuesday he plans to introduce a medical marijuana bill shortly. Yuko said the legislature needs to act on medical marijuana this spring or see the decision possibly taken out of its hands by the voters. There are at least three medical marijuana initiative campaigns brewing. Mississippi Asset Forfeiture Reform Bill Survives Legislative Deadline. Tuesday was the day bills approved by one chamber had to see committee action in the other chamber or die, and House Bill 1410, the Asset Forfeiture Transparency Act, survived. It was approved by the Senate Accountability, Efficiency, Transparency Committee Tuesday afternoon and is now headed for a Senate floor vote. The bill would not end civil asset forfeiture, but require state officials to maintain a searchable database of all cash and property seized by law enforcement. FDA Says Opioid Pain Relievers Will Have to carry "Black Box" Warnings. The Food and Drug Administration (FDA) announced Tuesday it will require immediate-release opioids to carry a "black box" warning label alerting users to the risks of misuse, addiction, overdose, and death. The warnings will refer users to the manufacturer's website for details. "Opioid addiction and overdose have reached epidemic levels over the past decade, and the FDA remains steadfast in our commitment to do our part to help reverse the devastating impact of the misuse and abuse of prescription opioids," FDA Commissioner Robert Califf, MD said in a news release. "Today's actions are one of the largest undertakings for informing prescribers of risks across opioid products, and one of many steps the FDA intends to take this year as part of our comprehensive action plan to reverse this epidemic." Democratic Rep. Tears Into Pharma Company for Price-Gouging on Overdose Reversal Drug. Rep. Elijah Cummings (D-MD) used his opening remarks at a House Committee on Oversight and Government Reform hearing on heroin use to rip into Amphastar Pharmaceutical, the manufacturer of the overdose reversal drug naloxone (Narcan), for trying to profit off the crisis. "We can no longer allow drug companies to keep ripping off the taxpayers for life-saving medications," Cummings said. "Cities all around the country have recognized the need to equip their first responders, police officers and public health officials with naloxone -- a drug that can reverse opioid overdoses in a matter of minutes." Florida Governor Signs Syringe Access Bill. Gov. Rick Scott (R) today signed into law the Miami-Dade Infectious Disease Elimination Act (IDEA Act), which will allow for the creation of needle exchanges. Commission on Narcotics Drugs Meeting Ends, Now on to the UNGASS on Drugs. The 59th session of the Commission on Narcotic Drugs (CND) ended Tuesday in Vienna. The meeting and its outcome document are laying the groundwork for the UN General Assembly Special Session (UNGASS) on drugs at UN headquarters in New York next month. Latin America's Largest Medical Marijuana Crop Now Being Harvested. Workers near the city of Colbun in central Chile have begun harvesting some 6,000 marijuana plants destined for 4,000 Chilean medical marijuana patients. The operation is being overseen by the Daya Foundation, which has hired 60 local temporary workers for the job. "It is an important day. We want it to be the first harvest of many more to come in Latin American countries," Ana Maria Gazmuri, president of the Daya Foundation.